At Edible Eden, we spend a lot of time thinking about the larger impact of our work - we try to always choose the most responsible selection of plants, materials, and garden amendments that we can. One eco-friendly material we love is rice hull! Rice hulls are the the husks around rice grains that are removed in processing. The hulls are then par-boiled to sterilize any rice grains and ensure no diseases are spread. We often use rice hulls to aerate, improve drainage, and retain water in our soils. Unlike the commonly used perlite and vermiculite, rice hulls are renewable resources. They do not have to be mined and no land is disrupted in their production: they would otherwise be considered a waste product! Unlike those other products, rice hulls are also organic material so they break down and add new nutrients to the soil over time. Because of this, you must refresh your beds with new hulls every year. Rice hulls can also be used as a mulch much like straw or leaves. 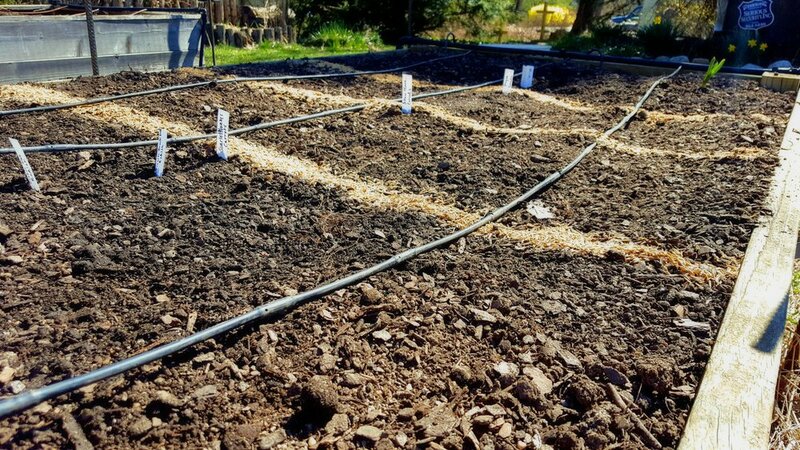 Use them to retain warmth or moisture in a bed or keep delicate seeds in place; we just topped our freshly planted carrot seeds with rice hulls to keep them from blowing away and provide good germinating conditions without burying them too deep. Have you tried using rice hulls in your garden? Let us know what you think!